IIEP-UNESCO and the Education Development Trust have conducted a crucial literature review on the management of teachers of refugees, examining resources that cover issues ranging from their recruitment, certification, to professional development. Despite the important role of the teacher in refugee contexts, the review has found that there is a dearth of information on who is teaching refugees and how these teachers are managed. Focusing on East Africa and the Middle East – two regions that have the highest cross-border population movements – the review looks at the current policies, practices, and debates that governments and their partners must navigate to provide education for refugee populations, as well as the strategies to select and manage teachers. Many studies have highlighted teachers as the most important in-school factor affecting the quality of education. This is particularly true in refugee contexts where sometimes the teacher is the only resource available. 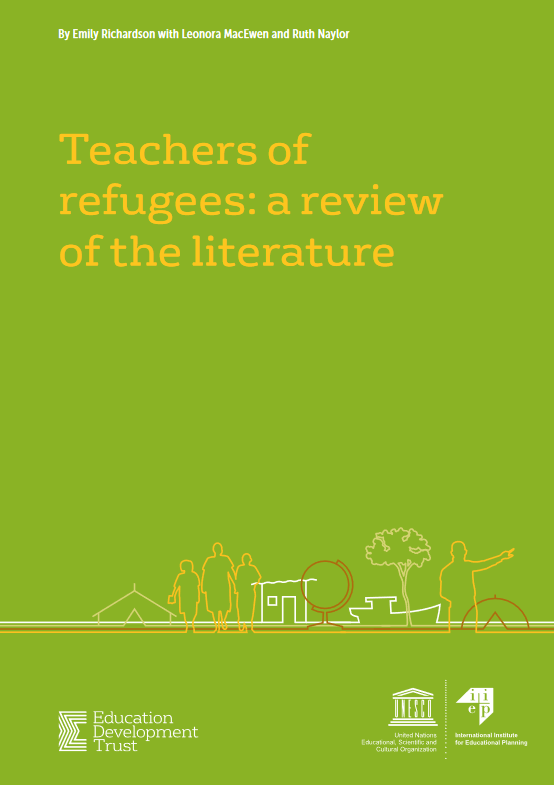 However, few studies have examined the role and perceptions of teachers in refugee contexts. As a result, little is known about who the teachers of refugees are and how they are recruited, trained, retained, and managed. This is an issue of huge concern given that over half of the world’s refugees are children today. Furthermore, with the average length of displacement often spanning two decades, the majority of these children will miss entire cycles of education. 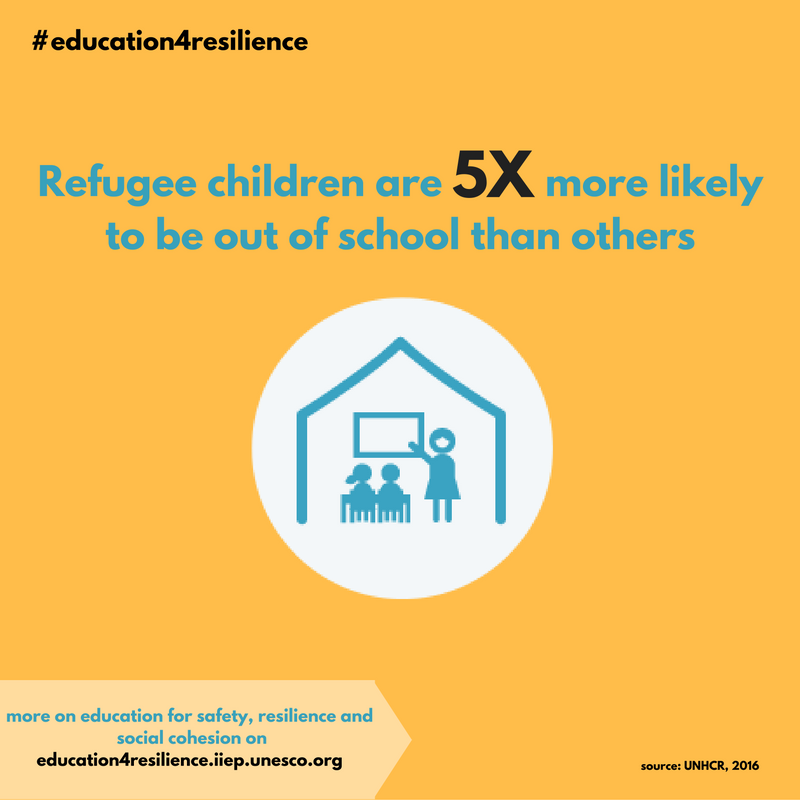 According to the United Nations High Commissioner for Refugees (UNHCR), only 61 per cent of refugee children attend primary school, compared with a global average of 91 per cent. Overall, the review highlights the vast gap in research and suggests a roadmap for further exploration on the management of teachers of refugees. Further research would set the foundation for a strong evidence base to identify good practices in the management of teachers of refugees, to raise the awareness among education policy-makers, and to support governments hosting refugees to design policies that could provide teachers and quality education to all refugee children and youth. IIEP and Education Development Trust will aim to pilot a study in this area in the coming months. See more on the Education Development Trust’s website.